The 20th Association of Southeast Asian Nations (ASEAN) Summit hosted by Cambodia wrapped up last week. The eyes of the region were on Cambodia offering local NGOs a rare opportunity to voice human rights concerns in Cambodia. Given the current trend of silencing dissent and criticism around contentious issues, the Summit represented a valuable entry for meaningful dialogue to address current issues. 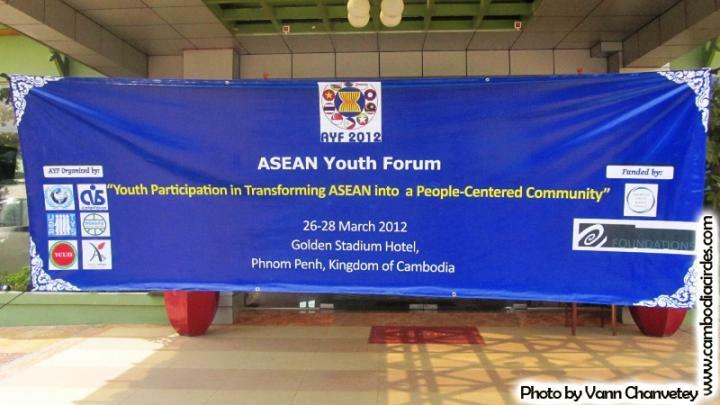 ASEAN’s theme for 2012 is “One Community, One Destiny.” Yet the regional body has not intently listened to nor fully incorporated the voices of a group that has categorically been excluded because of age and lack of “experience”—young people. 1. Young people remain optimistic and see ASEAN as potential force for change. They actually believe in the value of ASEAN even though many have questioned the effectiveness of the association. 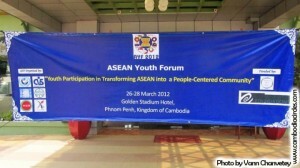 Cambodian youth were particularly excited to have ASEAN leaders in the country. The Phnom Penh Post recently highlighted the expectations several youth had for ASEAN, for economic development and for more opportunities for young people. 2. They understand the importance of education. In a statement produced through the ASEAN Youth Forum (AYF) in Cambodia recently, youth demanded that ASEAN establish a regional education standard and urged ASEAN governments to allocate at least 20 percent of their national budget to primary education. 4. They are not bashful when it comes to talking about sexual and reproductive health and rights (SRHR). They view SRHR as a basic human right to support sexual diversity and gender identity. In fact, youth at AYF want comprehensive sexuality education within the school curriculums. They want youth-friendly health services for unwanted pregnancies, safe pre- and post- abortion care, access to emergency contraception and confidential services for sexually transmitted infections including HIV and AIDS. They advocate for health services that are cost effective, gender-sensitive and rights-based. 5. They care about the environment and their future. Youth want regional, national and local policies implemented that require ASEAN member states to apply a rights-based approach to resource management. This includes corporate social responsibility safeguards for environmental laws and foreign investment laws so that new business ventures are regulated and in compliance with both national and international standards. Current investment practices exploit natural resources without regard to adverse impacts. 6. They are fearless. AJWS’s partners, Youth Resource Development, Youth for Peace and Khmer Youth and Social Development, were key organizers of AYF, a forum organized in conjunction with the ASEAN Summit to amplify youth voices, and were not afraid to discuss heated issues like land grabbing and evictions, corruption and impunity, and the shortcomings of the government. 7. There are a lot of young people in this world. In Southeast Asia and the Pacific alone, youth make up 18 percent of the population. In post-conflict countries like Cambodia, the majority of the population is under 30 years of age. 8. They will be the change makers. They are the ones we’ve been waiting for. We need to listen to their needs, value their opinions and share the decision making responsibilities with them. Navin Moul is AJWS’s program officer for Asia.